Closely approaching their 20th Year in trading vinyl, Nick (owner of Market Hall Records) can now proudly say his shop has remained independently owned and run, with its aim of providing a respectable outlet for second hand music. 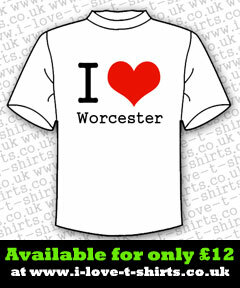 Located on the first-floor in The Gallery, (formerly known as the Market Hall) which can be found along The Shambles in Worcester – UK, the shop itself is a modest size, but by no means is the amount of stock for sale modest. 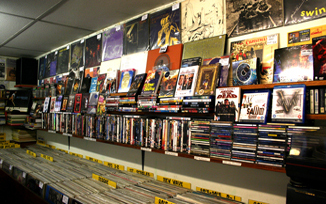 In fact, also for sale are Cassette Tapes, CDs and DVDs, as well as a selection of music-related literature, including various copies of the magazine – Record Collector. 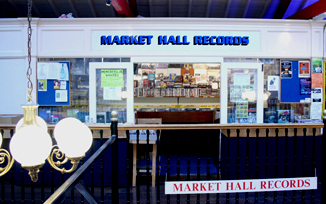 Market Hall Records do not just sell when it comes to vinyl, but also buy and offer an exchange option. 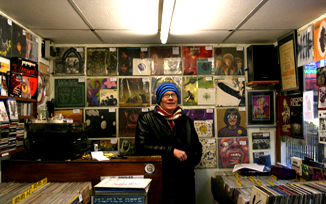 In terms of selling your own items, a wishlist of rare vinyl can be found in store or by going on the website (www.markethallrecords.co.uk) of which Nick is particularly interested in buying for his shop. Along as the playing quality of the vinyl you may wish to sell is in good condition though, then Nick will always be glad to offer a price to you. Market Hall Records are not currently selling on the internet since everything Nick buys for his shop is sold on the premises. Although it may be a possibility that he could extend his business to online, for now the purpose of the website is for offering information related to the store. Do you love music, especially vinyl? If so, then pop up to Market Hall Records in The Gallery arcade and you’ll be greeted by Nick who is always delighted to meet new customers.